is having her Annual 12 Tags of Christmas challenge. 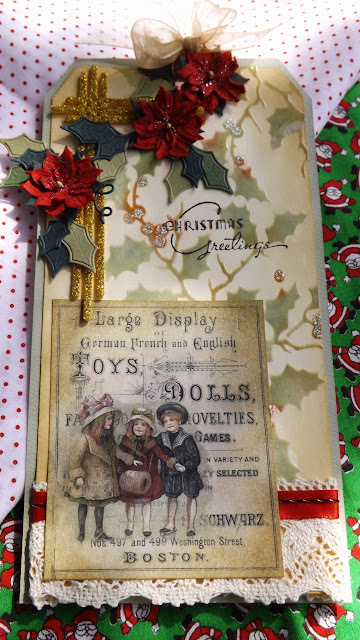 Linda's wonderful tag, makes you want to join us. Products used for this tag can be found at "The Funkie Junkie Boutique". but it really makes the tag. Welcome to the 12 Tags of Christmas Funkie Junkie Style! I'm so tickled to have you playing along this year, Vada! Your tag is wonderful. 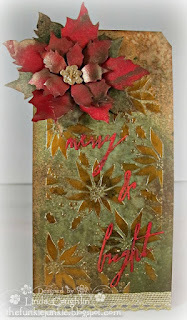 I really love the stenciled background of green holly with just a touch of brown to bring out the vintage. Love the glitter on the holly berries too. Your first entry is an absolute delight! I enlarged the picture so I could see the detail better and WOW, is that ever glorious. The color combinations you've done are perfect together. 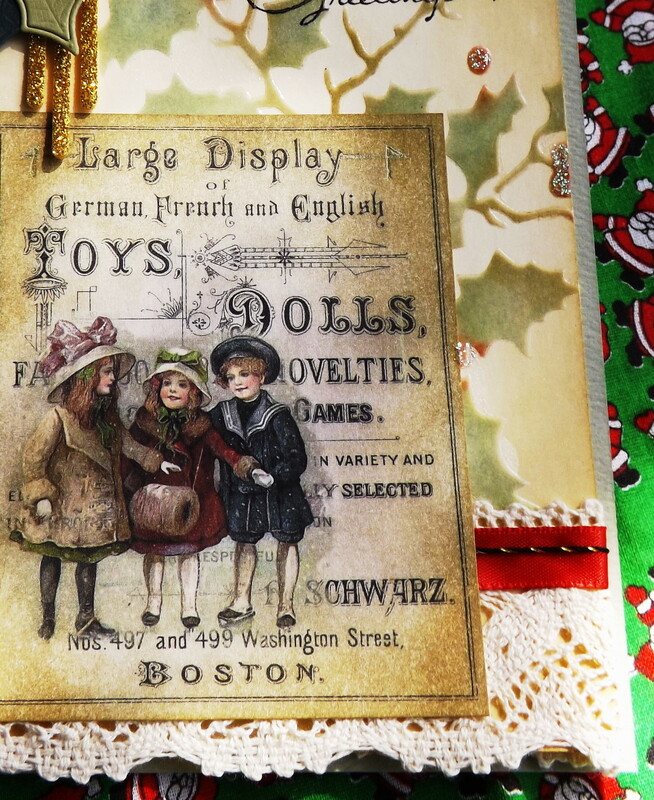 This is a fantastic vintage tag you've designed here. Wonderful, Wonderful Tag, The Vintage theme is so appealing to the eye, I love all your elements. This is a well thought out design. Oh how absolutely gorgeous, Miss Vada! 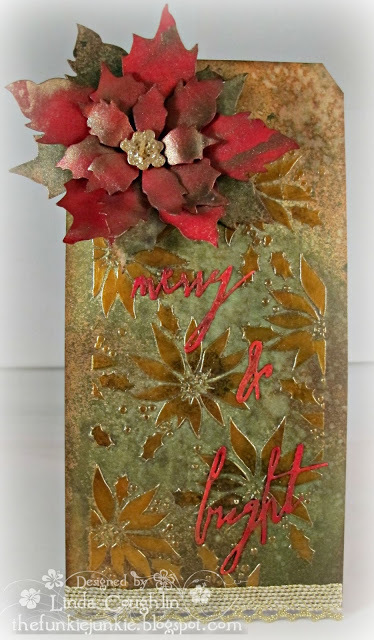 I love your poinsettia backgound and what a great touch with the glitter, GF! So what do you think about those Packers? Hugs! Oh, wow! Your tag is amazing! 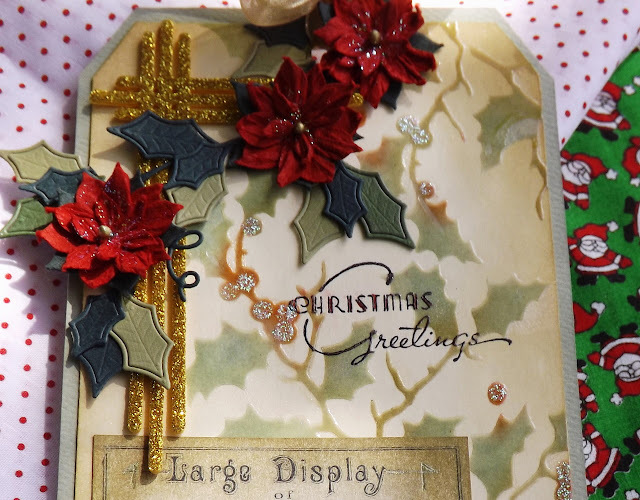 I love the gold glitter element that you tucked behind your lovely poinsettias! Your tag is wonderful. I love all the great elements and textures. Where did you get that darling vintage image?